As I had mentioned in the update below, once I actually thought about it, it was quite noticeable that one of the main conflicts didn’t come around to be presented until about 60% into the book: the reason why Lacey has suddenly been targeted for murder as well as the significance of her grandfather’s paintings. Of course, there was a very glaringly obvious reason (greed for her Granddad’s unsigned paintings), but there was, of course, a very deliberate, underlying conspiracy to the entire ordeal. Because greed would be too easy of a motive, especially since we learn that the aim of the game was to burn Grandpa Rainbow’s paintings rather than acquire them for money. But just from the summary on the book jacket alone, we are already told that the paintings are much more significant than being priceless works of art. Heck, even the prologue hints at the paintings being more significant. It just felt kind of insulting that we didn’t get straight to the point and had to poke around in the dark like the reader didn’t already know what was going down and would be surprised by the reveal. When Lacey Quinn inherits the striking landscapes done by her late, much-loved grandfather, she believes they are as good as anything hanging in museums. But the paintings now in her possession are more than the works of a talented master. They are anguished voices from the grave . . . crying murder! Lacey begins researching her grandfather's past -- and is rocked almost immediately by a strange series of violent events. Someone wants to steal her inheritance, to reduce the paintings to unrecognizable ashes in a suspicious blaze. Someone wants to prevent Lacey from examining her grandfather's work too closely . . . by any means necessary. Ian Lapstrake, a security specialist, has taken an interest in Lacey's inheritance . . . and in her. Troubled by what he sees, he becomes Lacey's shadow, as her search for answers leads them both down an ever-darkening road paved with lies, blood, and devastating secrets. For the first half of the book, we simply follow a series of “unfortunate crimes” all aimed at the paintings Lacey has brought into the light with nothing else to go on. As far as crime thrillers are concerned, there was quite a bit of meandering before we’re even told that there’s something darker stirring among the characters introduced in this book than we’re being lead to believe. If I had thought that there were too many characters and situations to keep up with in the previous book, Running Scared, this book probably has it beat simply because there were simply too many names, relationships, and fuzzy histories in the Savoy family to keep track of. And all of those incidents had to do with people who were already dead and only got a mention in passing. The story in this book was ridiculously scattered, unlike the previous few books I have read, written by Elizabeth Lowell. 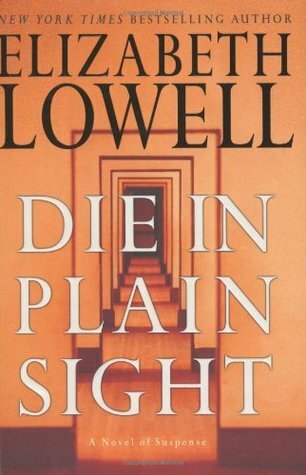 There’s enough direction in this book and we all knew where the story was headed; however, the events surrounding the telling meandered so much that it could have been monotonous and boring if not for the fact that I’ve grown a fondness for Ms. Lowell’s work. So, none of the negatives seemed to keep me from enjoying the book. Lacey Quinn and Ian Lapstrake are an excellent pair together with the right amount of witty fun and heated romance to make me happy enough to continue reading the book. I thoroughly enjoyed them as a couple and an individuals with their own unique personalities of brutal honesty and blunt, straightforward, no-nonsense approaches to all situations. The rest of the characters were decidedly flat and unextraordinary in any way. Just as well, whatever mystery there was supposed to be was also quite predictable and a little on the “Why do I care?” side. 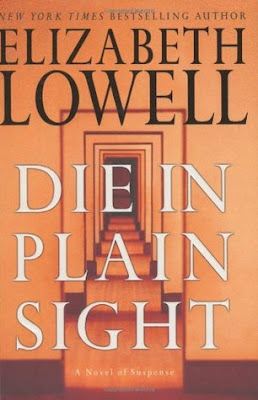 To be honest, while the tone of the book felt distinctly romantic suspense, and the telling was on par with the rest of Elizabeth Lowell’s romantic suspenses, the subject matter was consistently contemporary romance until the first attempt on Lacey Quinn’s life about halfway into the book. Then the events remembered that this was supposed to be a crime thriller and so acted accordingly and things started getting a little more exciting. And for some reason, I can’t find it in myself to be bothered by it. I guess that’s what it means to have a soft spot for certain authors. This review was originally posted at Ani's Book Abyss / BookLikes in July 2014. "Ignorance isn't bliss," she said. "Especially if there's something dangerous. That's why they post road signs. It keeps the ignorant from driving off cliffs." I briefly addressed this point in a brief post on Elizabeth Lowell's fourth book in the Donovan series, Midnight in Ruby Bayou. I won't rehash my thoughts, but Lacey puts it pretty bluntly here. And for this, I love her. As stated before, I understand the need to shield loved ones from brutal knowledge. But sometimes, when it DOES matter, maybe knowledge is more important than ignorance "for your own good". Not everyone's a China doll; and sometimes knowing the truth could make the difference between life and death. I am really enjoying this book as much as it wanders around from place to place and person to person--I think I hardly noticed that the main conflict didn't even really start until about 60% into the book. Well played, Ms. Lowell. I remained entertained for the most part and continue to do so. Also, it helps that with Lowell's hit-or-miss characters, Ian and Lacey certainly are an interesting pair--refreshingly fun and open would be the right description. I really like them A LOT. This update was originally posted at Ani's Book Abyss / BookLikes in July 2014.